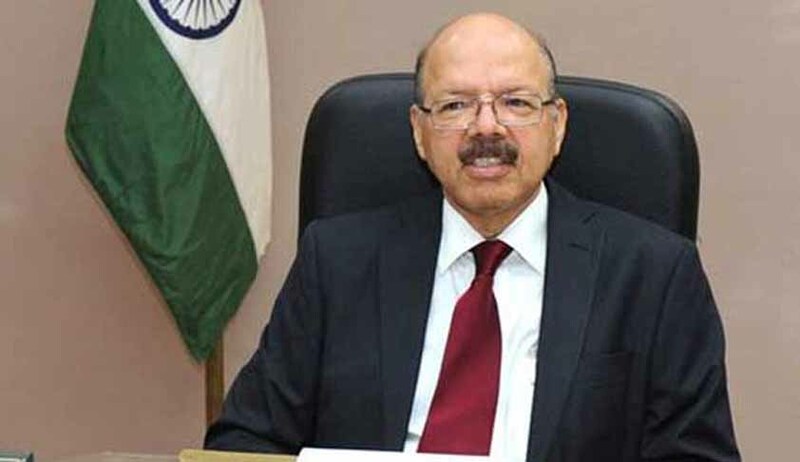 The Chief Election Commissioner, Dr.Nasim Zaidi, on December 3, deplored the practice of some State Governments withdrawing election-related cases because of political pressure. “State Governments cannot withdraw such cases without prior consent of the Election Commission, because the election cases are registered in the name of the Election Commission”, Dr.Zaidi said, while delivering the inaugural address at the National Interactive Conference on Electoral Laws in New Delhi. “We have no intention to interfere in investigation and prosecution of cases. This is essential to maintain the purity of election process, where erring candidates must learn to honour electoral laws. We expect political parties and candidates to observe the rules of electoral morality and do not commit electoral offences or corrupt practices”, Dr.Zaidi observed. The conference, the first of its kind, brought together the legal counsel of the Election Commission, practicing in various High Courts and in the Supreme Court. The E.C. hosted the conference, with the aim to “develop a strategy to arrive at successful decisions”. The E.C. claimed that the conference would help to weed out the corrupt practices, unfair means, threats and other practices which are a hindrance to fair and transparent elections. The objectives of the conference, the E.C. has stated, include shared knowledge, intense communication, proper briefing and inspirational advocacy the bring good success rate for election litigation. Apart from the legal counsel of the E.C., the Chief Electoral Officers of all the States also attended the conference. The framework of the conference covered a wide range of though-provoking presentations relating to election reforms, new developments occurring in election disputes region-wise, its impact on litigations and the issues faced by counsels while dealing with election disputes. Observing that it takes long time for disposal of Election Petitions in superior courts, and in many cases, they outlast the term of the legislature, Dr.Zaidi said the E.C. has requested High Courts to earmark separate Judges to hear EPs for their timely disposal. Dr.Zaidi revealed that the E.C. has taken various initiatives to strengthen its Judicial Division, which is the hub of legal activities of the Commission. A separate registry with defined functions is also being set up to facilitate filing and scrutiny of cases, he said. He further disclosed that the Commission has issued a detailed procedure of enquiry under Section 146B of the Representation of Peoples Act, 1951, to guide the Commission in disposal of enquiry cases referred by the President and the Governors. The E.C. has its legal representatives in 20 of 28 High Courts and intends to appoint counsels in the remaining High Courts in a time-bound manner, he announced. During the conference, Dr.Zaidi launched a new webpage, called “Judicial Division” at the ECI’s website. He urged the counsel to upload information in the new webpage as soon as the notice is received by them, and update the system with regard to the dates of hearings, and outcomes, so as to efficiently manage court cases. The Election Commission released the fifth compilation of 25 landmark judgments of High Courts and the Supreme Court, after a gap of 12 years. Another compilation of 47 proposals for electoral reform, sent by the E.C. to the Government was also released on the occasion. These proposals have been examined by the Law Commission and many proposals have been endorsed for legislation. Other speakers at the conference included senior advocate, Supreme Court, Ashok Desai and Legal Advisor to the E.C., S.K.Mehndiratta.